Don't take our word for it. Read just a few of our reviews from happy customers. approach shown by all. Now I can't wait to get in and splash some paint around." "I can't really put into words how good the Dream Team have been. It has been a pleasure having you here, and the Potting Shed is a total delight." 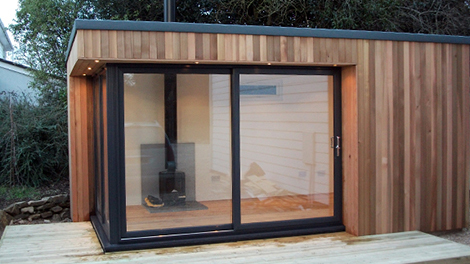 "My timber framed garden building exceeded all my expectations. Ian was professional, patient and designed a space to die for. I spend more time in it than I do my home! I highly recommend Ian and his team." "So much more than your standard garden studio. Ian and his team listened to my ideas and created something that has completely surpassed my expectations, I love the end result and would happily recommend to friends and family." "Thank you for your hard work on this project, the studio looks great and we too are delighted with the outcome. We appreciated the regular updates from yourself, detailed answers to my many questions, the professionalism with which the job was carried out with minimal disruption and we have to say it was a huge relief to employ people we could both get on with and trust." "What a fantastic office space! We are so happy with the guys at Creative Garden Studios and the work they completed. 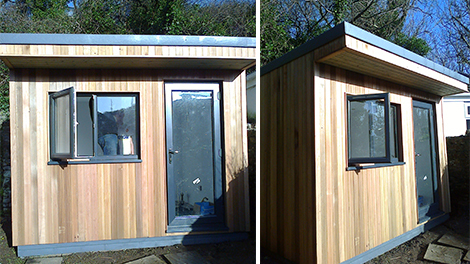 The garden office looks great and is a warm, bright space to work in. All credit to Ian, David and the team.